Enable users to plan and manage dependencies across areas by providing a clear visual of all dependencies a team is consuming and producing. Dependency Tracker allows planning and tracking dependencies across multiple areas. It helps provide visibility into the health of the dependencies and gives an overall status at a quick glance. Consuming Dependencies is work the selected area path is dependent on other area paths to complete. It shows all work items that have a predecessor link for work items in this area path. Producing Dependencies is work the selected area path is doing where other area paths are dependent on. It shows all work items that have a successor link to items in this area path. Select ‘Dependencies Consuming’ to see what work your area is dependent on or select ‘Dependencies Producing’ to see what work you owe other areas. The dependencies appear in a bar chart on top with color coding to show the state of the items. They also appear in the table below showing the details of the work items. It is possible to show either the producer or consumer on top and then expand the item to show the corresponding work items nested below. The Dependency Timeline is in Beta. Please feel free to provide feedback. The Timeline helps to provide clear sequencing of dependencies across months. Dependency Risk Graph is a bird’s eye view of how dependencies flow from the Producer to all Consumers or from the Consumer to all Producers. 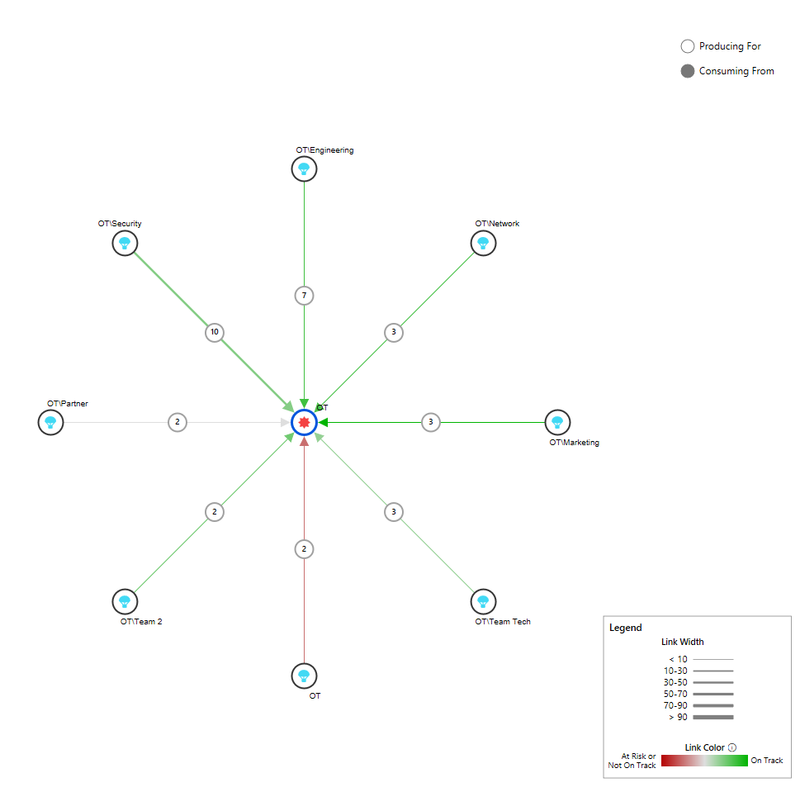 The graph allows a team to, at a glance, understand the magnitude of dependencies and level of risks associated. In addition, the risk graph view demonstrates the value of linking dependencies. Once installed Dependency Tracker can be found under Boards. Dependency Tracker provides filtering across Area, Iteration, State, and Priority. 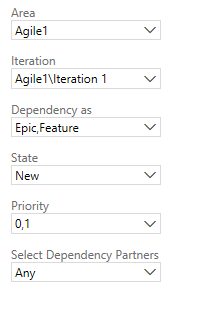 In addition to those filters it allows users to select the work item type using the Dependency as filter or to further restrict the results to only certain areas using the Select Dependency Partners. Dependencies can be created by adding a link between the work items. 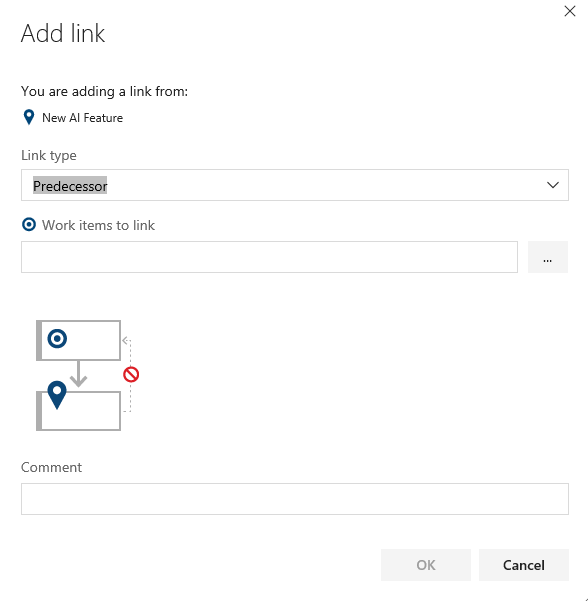 The links options are adding a predecessor link type to a work item that needs to be complete before your work item can be done or successor link type to one that will be require your work item to be completed first. A default configuration file is provided as the initial state. 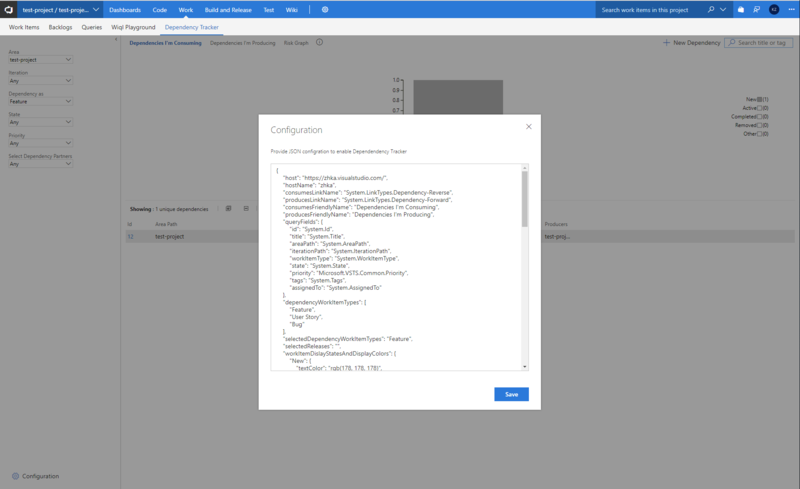 If your account uses the default Agile Template with VSTS no changes should be required. If changes are needed, the account admin has the access of configuration button and can modify configuration field as needed. Dependency Tracker does not replace in person interactions to agree to doing the work, it provides easier planning and tracking capabilities. Dependencies should be agreed upon before they are entered in to the dependency tracker. Where do I create the Dependency? In order to make sure all Dependencies are correctly tracked, the Feature should be created in the project and area path of the team who is the Producer. What if I have dependencies in my own area?